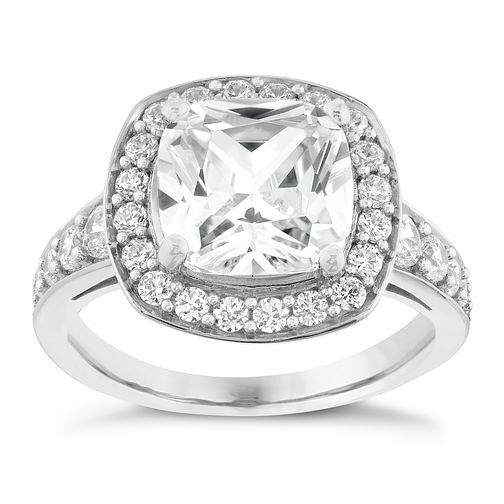 A beautiful silver ring featuring sparkling stone set shoulders leading up to a dazzling cushion cut cubic zirconia. Perfect for any occasion. Silver And Cushion Cut Cubic Zirconia Halo Ring is rated 4.5 out of 5 by 2. Rated 5 out of 5 by Anonymous from Great value for money The ring looks brilliant for the price, My girlfriend absolutely loved it. Delivery was also really quick as it was a relatively late christmas present and arrived well before!